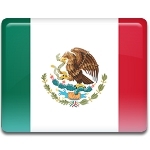 On September 27, Mexicans celebrate the end of the Mexican War of Independence. It is a civic holiday, which means it is observed nationwide, but employees are not given a paid day off. The Mexican War of Independence started on September 16, 1810, when Miguel Hidalgo recited the Grito de Dolores, encouraging the Mexican people to rebel against Spain. The anniversary of the Grito de Dolores is now celebrated as Mexican Independence Day, the country's most important national holiday. The was lasted for over a decade, going through several stages, as the independence movement leaders were captured and imprisoned or executed by Spanish loyalists. In 1820, many former loyalists finally deiced to support Mexican patriots. On September 27, 1821, the Army of the Three Guarantees, led by Vicente Guerrero and Agustin de Iturbide, triumphantly entered Mexico City, consummating the independence of Mexico. The Declaration of Independence of the Mexican Empire was ratified the next day in the National Palace in Mexico City. Although the main celebration of Mexico's independence takes place on September 16, anniversary of the day the Mexican War of Independence ended is marked with official ceremonies and other appropriate events and activities.